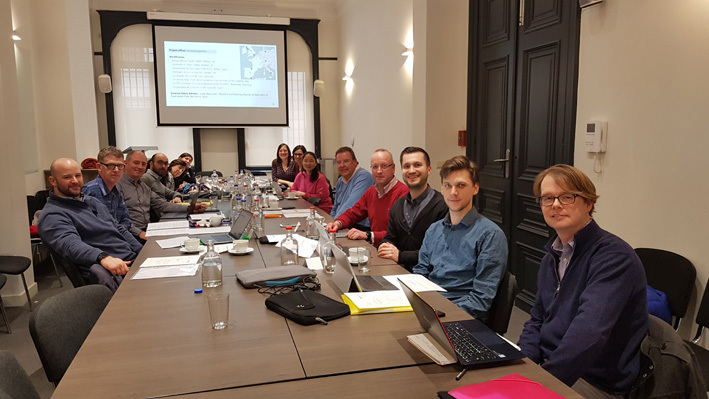 Last Wednesday (6th February) our Business Development manager Gavin McConvey was in Brussels for the launch of the H2020-MSCA-RISE “MENHIR” project. MENHIR, led by the Universidad de Granada, Granada, Spain will research and develop conversational technologies to promote positive mental health. The technology hopes to assist people with mild depression and/or anxiety manage their symptoms and prevent relapse via mental health monitoring through interactive conversations. Action Mental Health is one of the project members of MENHIR, a partnership of academia, private and voluntary sector organisations. MENHIR will use co-creation to develop a technology Chatbot to provide symptom and mood management, identification of patterns indicative of relapse and recurrence, personalised support, coping strategies, mental health education and signposting to online resources and local services.